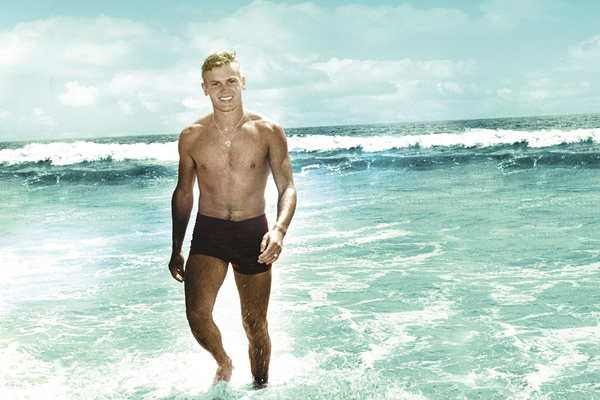 Hollywood’s AC Gallery (1546 N Highland Ave., Los Angeles) latest exhibit is “HOMAGE: The Tab Hunter Paintings,” a solo exhibition by artist/video director, Vance Lorenzini. Many of his creations offer fascinating insight into the life of the much loved actor/singer. Hosted by Hunter’s life partner of three decades, Allan Glaser, this is the very first public event to memorialize him. Known for movies like “Battle Cry,” “The Burning Hills” and “Damn Yankees,” Hunter died earlier this year, at the age of 86. Lorenzini will unveil close to 20 life-size images of Hunter at the exhibit. The much-loved actor’s memorial service was held in July during a private ceremony near his home in Montecito. Lorenzini’s paintings were first displayed there. Lorenzini is an American West Coast artist who works with pop culture themes. 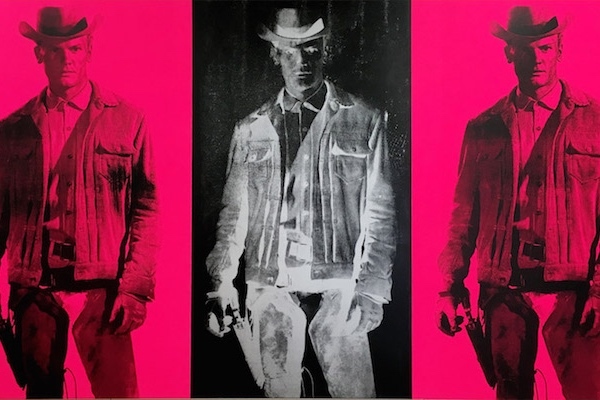 His work examines the relationship between artistic expression, cinematic images, celebrities, culture, advertisement, branding and related musical themes.